IT'S SUCH A GOOD IDEA, WE HAVE TO JOIN IN! She's Country, a Facebook page that we follow here at Illinois Corn, proposed an interesting question today. 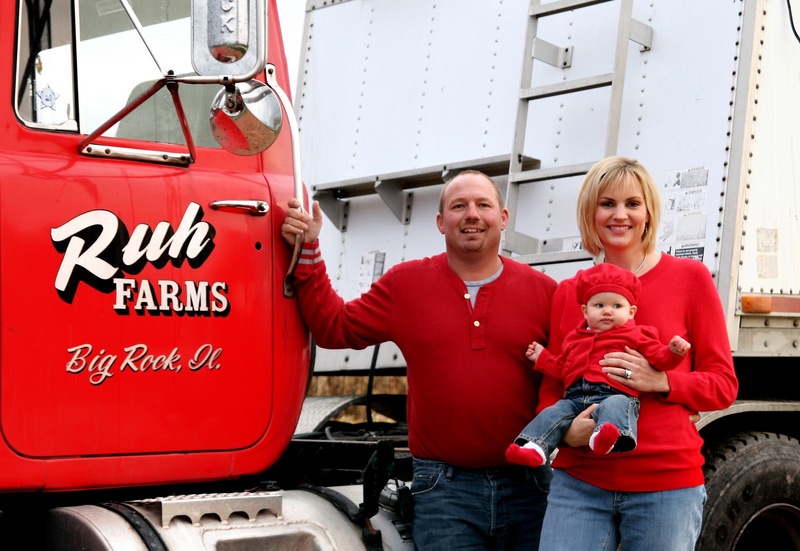 In your own words, what is a "family farm?" She's Country is right, there is no universally accepted definition. And I think that if forced to write down a definition, you might just find that a family farm is exactly what you thought it was and maybe even something more. Visit She's County, become a fan, and add your thought to the mix. This is an interesting exercise in realizing what we have, what makes us strong, and why we all love to be family farmers. 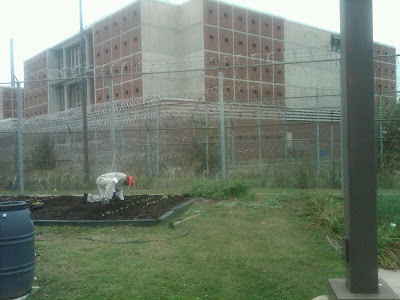 Over the weekend, I was lucky enough to visit one of our partner sites in the City Produce Program, the Cook County Jail. It was exciting to see all the fresh produce being gathered which will then be distributed to families without access to fresh veggies in inner city Chicago. 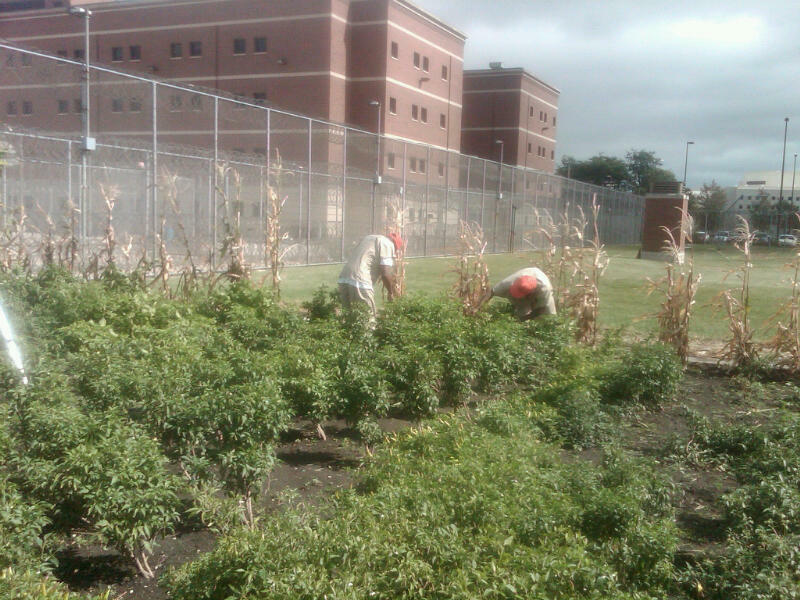 It was equally exciting to see the inmates at Cook County Jail learning about horticulture, becoming certified Master Gardners through the University of Illinois Extension program, and adding a trade to their resume to use as they rebuild their future. But I'm interested in the new connections being built between urban and rural citizens of Illinois. This project is about nutrition and goodwill towards our neighbors, but its also about awareness. How often do the farmers in Illinois consider those without access to a grocery store other than the local gas station convenience store? I can guess that its not often. Likewise, how much do Chicago residents understand about farming as an occupation? About the ups and downs of the market, the vulnerability of the weather, the long hours and sneaky insects that equal risky paychecks? Not much, I'm sure. And through this program, volunteers that simply want to contribute to the fresh vegetable access are seeing first hand what it really is to be a farmer. There is a gap right now between the reality for urban Illinoisans and the reality for rural Illinoisans. That gap causes distrust and confusion because of a mutual lack of understanding between the two. What the Chicago Produce Project seeks to do for Illinois corn farmers is create understanding. Become a Facebook fan of the City Produce Project, Illinois Corn, and Monsanto (all partners in this effort) so that you can learn more about the good we are doing in urban Chicago. Check out Crain's coverage of the project here. Consider getting involved. Labels: Activism, Who are Illinois Corn Farmers? SPRING AND SUMMER INTERNS NEEDED! Becky Finfrock and I spent the day at Illinois State University's Ag Career Fair today, recruiting for our spring and summer ag communications internships. We had a great time chatting with ISU ag students, some of which were interested in ag communications and some of which weren't interested at all! But everyone seemed to want to know more about Illinois Corn and what exactly we do on behalf of corn farmers. We advocate for them. In case you were confused as well. Here's hoping that the fruits of our labors today will be intelligent, motivated college students who are passionate about agriculture and the image of farmers and modern food production! Students, if you're out there, we need more of you to step up to the plate and get active on behalf of Illinois agriculture. 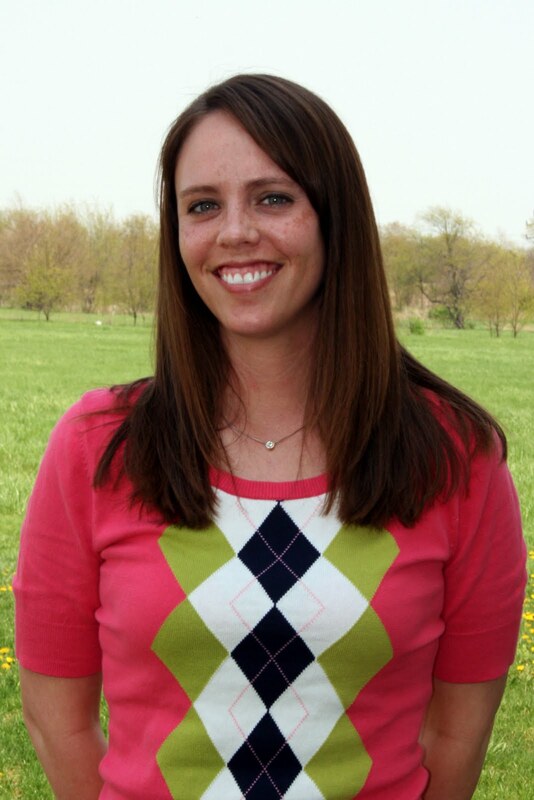 Consider an internship with Illinois Corn for the spring or summer semester. Spring semester interns will be focused on the social media application of their choice (Facebook, Twitter, blogging) and will independently populate, manage, and collect data on that social media tool. Illinois Corn wants to know what motivates different audiences to interact and dialogue via social media! Our summer interns are also focused on social media, but are expected to work in our office all summer and are more heavily focused on YouTube videos and other video applications. Interns must be Illinois residents. To apply, email me at lmitchell@ilcorn.org. The Truman National Security Project released its 2010 Fuel Scorecard last week. See why ethanol ranks near the top of all fuel solutions to make America a safer, more independent nation. Sometimes, individuals and groups decide to stand up for something. In the case of many crop producers and the associations that represent them, they have decided to stand up for atrazine. Atrazine is a vital herbicide that is under attack by environmentalists, activist researchers, activist media and slick trial attorneys. These well-financed groups worked together last summer to garner enough attention to spur an unscheduled re-review of atrazine by the Environmental Protection Agency. Looking at the information above, it’s no wonder farmers and farm organizations are standing up for atrazine in a big way. It’s no wonder that they work with atrazine’s major manufacturer, Syngenta, to support this product. But recently, many of those organizations have been served with subpoenas from big time trial attorney firms who are hoping to net millions of dollars in judgments from the state and federal court systems. These subpoenas require grower associations to turn over volumes of information to the courts regarding their growers, including all correspondence related to atrazine, Syngenta and even the Kansas Corn Growers Association. The subpoenas come down to one thing, clear and simple: bullying. We can’t imagine what kind of useful information they hope to find by looking through membership records, leadership programs or who paid for the ice cream at a farmer’s meeting. But the threat of legal harassment might make an organization or an individual think twice about standing up for a product like atrazine. Since the beginning of the Special Review of the triazine herbicides including atrazine in 1994, our growers have wanted one thing: a science-based outcome through EPA. Is throwing trial attorneys and frivolous subpoenas into the mix a game changer? Will farmers be intimidated and lose their will to support atrazine? The trial attorneys forgot one thing—farmers are uniquely independent. They stand up to wind, hail, drought, floods, pests and roller coaster markets on a regular basis. Slick attorneys are scary for sure, but we don’t scare that easily. Jere White, Executive Director of the Kansas Corn Growers Association, Kansas Grain Sorghum Producers Association and is the Chairman of the Triazine Network, a nationwide coalition of growers and grower groups concerned with regulatory actions surrounding the triazine herbicides including atrazine. While it is a bit of a rarity for harvest to be completed before October 1, we're just about to do just that in 2010. What a surprise given the late, late, and even later harvest we dealt with last year, when crops were still in the field at Thanksgiving! Kent, who farms in Central Illinois, indicates that he's 70% done with corn and 0% done with beans. Corn so far is at 160 bushels per acre. Lots of variability, but the whole field averages are at 160. 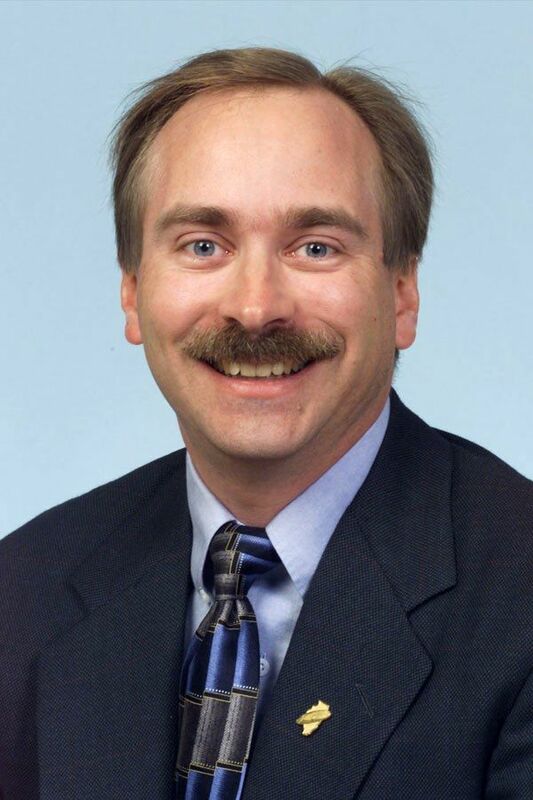 In Northern Illinois, Jim is harvesting early beans with success - 56-65 bushels per acre. The corn sprayed with Headline that Jim cut has performed better than without Headline ... the Headline crop made 205-210 bushels per acre with the other making only 170. For a point of reference, national average yields in 2009 were 165 bushels per acre, with Illinois average hitting the 183 bushels per acre mark. Scott reports from the eastern Illinois border that "We are about 1\4 done with field averages from 110 to 190. I hope to find more fields with the higher end of that spectrum, but know there are going to be some fields below 100 bushels per acre." Some Illinois Corn Directors mentioned that they've had enough rain and fields are starting to resemble last year's rutted, muddy mess. Here's hoping Illinois corn farmers can hurry up and finish before any more rain hits our area! The cars of the future have shown themselves, but it's not clear whether Americans will like them. Yesterday, contest organizers crowned the winners of the first Progressive Automotive X Prize, a one-year race to design an ultra-efficient car that's "safe, affordable and desirable." Among the final contestants were cars getting 80, 120, even 180 miles per gallon equivalent. They assumed strange shapes, some sprawling on the ground like stingrays, others compact as books. They ran on batteries, ethanol and gasoline. In the end, it was a gasoline engine that triumphed. The Very Light Car, built by Virginia company Edison2, won the $5 million first prize with 100 mpg and the lowest carbon footprint of all contestants. Most interesting of all, its gasoline engine, running on E85 ethanol, beat out dozens of electric and hybrid cars, vehicles currently thought to be among the most efficient available. It's the latest splash in an ongoing tussle with the auto industry: Exactly what is technologically possible, and what are people willing to buy? According to environmental and consumer groups, the answer is this: Current technology can go a long way, and people will pay more for high-mpg cars. "We're not talking rocket science here. 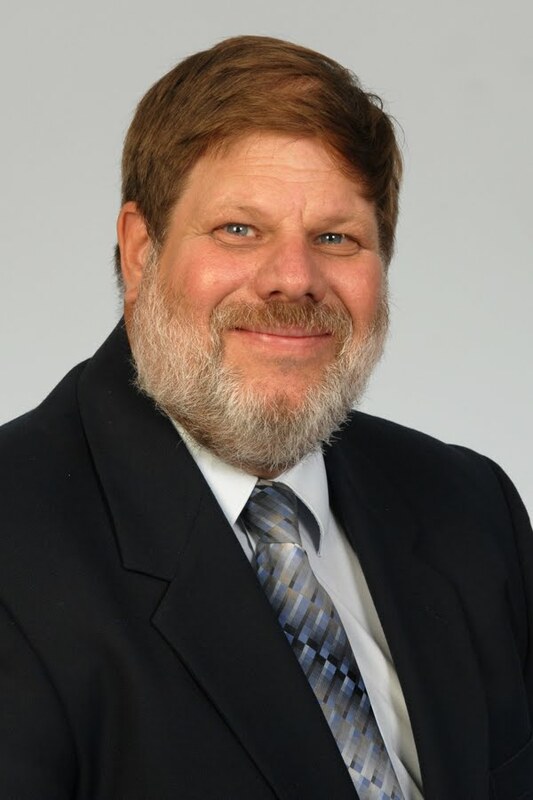 We're talking smart engineering, good auto design," said David Friedman, who directs the Clean Vehicle Program at the Union of Concerned Scientists. UCS is a member of the Go 60 MPG coalition, a group of environmentalists campaigning to make that the next federal target for fuel economy. Currently, the federal government's corporate average fuel economy (CAFE) target is 35 mpg by 2016. Agencies haven't set the standard for the next stage, which extends to 2025. The coalition said Americans are on its side: It presented a poll in which two-thirds of respondents favored the 60 mpg target, even if it raised a car's price by $3,000. According to the coalition, that premium would be recouped in four years at current gas prices (E&ENews PM, Sept. 16). Pound for pound, cars today are far more efficient than their ancestors. But car companies have generally used the fuel efficiency to make cars bigger, heavier and faster. There's more to this article ... check it out here! Adia - 8, Dean - 2 and Vera 9 mo. Farmers and “agvocates” from around the country met in Chicago recently to fine tune their social media skills. As a board member on the AgChat Foundation, I was so impressed to see the instant camaraderie amongst the group as we clearly had some things in common: a love for American agriculture and a willingness to engage non-farmers on issues. • I don’t know much about what you do. • You do something very important to me. • You raise the food my family eats. • The most important thing to me is protecting my family and ensuring their health. • I know you work hard. • I want to trust you. • But I’m concerned based on what I see and hear. • Give me reasons to trust you. Watch this video to get a flavor for what brought the group together. Many, many moons ago, members of the ethanol industry asked the US EPA to consider raising the blend level of ethanol to gasoline from 10 percent (the current level) to 15 percent. While the industry waits for an answer (the US EPA might provide a final verdict later this month), bits and pieces of the research the Department of Energy is conducting have made their way out. That research is focused on 2001 model years and newer, but the ethanol industry feels that 15 percent ethanol blends are safe for older vehicles too. Now, research released today from Ricardo indicates that fuel systems of older cars would not be adversely affected, giving the US EPA absolutely no scientific reason to approve E15 for only 2001 model year cars and newer. This is big news for the industry. Still, recent activities in the US EPA indicate that data simply clouds the pathway to bureaucratic agenda. The final verdict remains to be seen. In other ethanol news, the Renewable Fuels Association has a new ethanol ad running in Washington, DC this week, aimed at reminding legislators about the job growth potential increased ethanol usage presents. Illinois corn farmers wait and see. Will this valuable, expanding market for their product be allowed access to the US market or will we continue to export cheap ethanol and import expensive oil at the expense of our American economy and national security? There's been a lot of information about High Fructose Corn Syrup floating around the Illinois Corn office this week. First, the news that in the wake of declining sales, Sierra Mist and 7-Up are both heading the "natural" direction of eliminating HFCS and replacing with sugar cane sugar. As the new "Friend a Farmer" Facebook fan page points out, since when isn't corn natural? Today, news that the Corn Refiners Association has petitioned the Food and Drug Administration to allow manufacturers the option of using the term "corn sugar" instead of High Fructose Corn Syrup. The Corn Refiners argue that a consumer poll showed that many consumers believe HFCS to be higher in fructose, which isn't the truth, thus, the name is misleading. This will be an interesting story to follow. But we can finalize the HFCS news with two great videos that set the record straight. 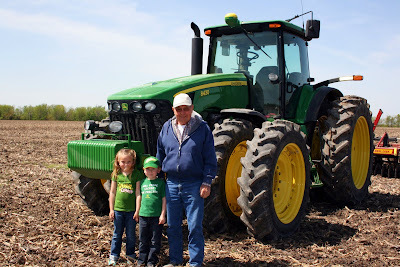 One of our own Illinois Corn Directors, Len Corzine, volunteered his corn field for the set, even allowing videographers to direct the plowing of a section of the field. What dedication! Think about sharing this video with your friends and neighbors, on Facebook, and through email. People need to understand that corn sugar is really no different than table sugar. If you don't tell them that truth, others are going to tell them something drastically different. For certain, it means remembering the values and ethnics handed down from your grandparents, to your parents and then to you. 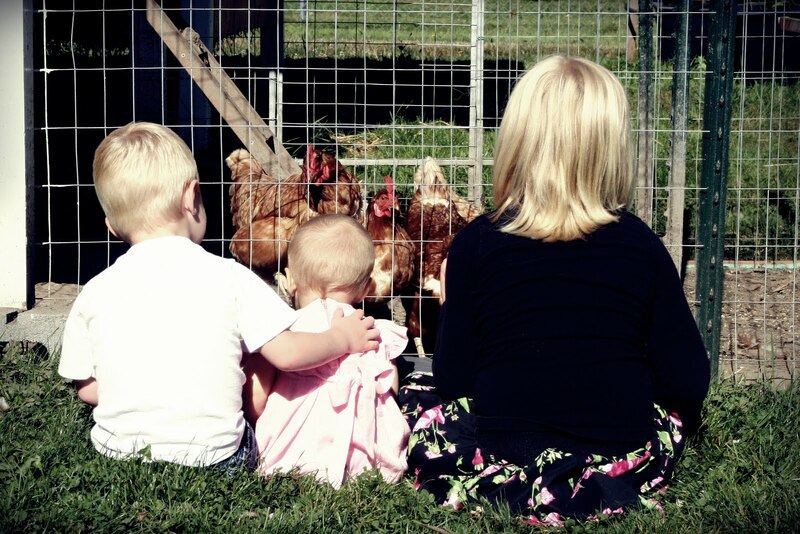 Farming is a family business. Farming usually entails working the same piece of ground that your ancestors settled when they immigrated to America. It represents your heritage in a way that a treasured piece of jewelry or pocketwatch might to non-farmers, except much, much bigger because this piece of land fed your family over the course of 100 or 150 years. Farming means that nearly every square foot of the property you work on carries the memory of a person, a lesson, or a moment that you relive in the fall and the spring as you plant or harvest that ground. This legacy is one that farmers live every day, whether they are small or large farmers, organic or conventional. Family farmers don't really need Grandparent's Day, I guess. Every day is a celebration of heritage, family and tradition. Corn harvest is in full swing in Central Illinois, with the cool, breezy weather we've had lately drying out the corn in a hurry. Today's forecast from the USDA is that corn production would hit a record 13.2 billion bushels, which is higher than the current 2009 record of 13.1 billion bushels. Yields are expected to average 162.5 bushels per acre which is down from last year's record of 164.7 bushels per acre. If you enjoy this sort of data, click here to read more! WATCH OUT FOR SLOW MOVING VEHICLES! If you live in a rural area, you may have noticed the rapid onset of harvest. While the first week of September is definitely historically early to begin harvest, I can assure you that once those farmers get out in the fields and get a taste of harvest, there will be no stopping them until every last grain and oilseed is reaped. For the rest of us in Illinois, that means it’s time to slow down and be more cautious for slow moving farm equipment. Farm safety is a great lesson any time of year to be sure. For livestock farmers especially who conduct mostly the same activities year round, the risks aren’t necessarily elevated during planting and harvest. And there are always these sorts of accidents that happen regardless of the season, so being careful is always imperative. But for the rest of us, those of us that live in town and forget that we are surrounded by hard working men and women trying to get the crop out in the fall, spring and fall are important times to remember to be cautious and careful. Drivers in slow moving vehicles can’t always see your compact car trying to pass them. Farmers attempt to avoid high traffic areas and high traffic times of day, but weather and crops are tricky business and harvesting certain fields isn’t always feasible after 5 pm or on the weekend. Do your best to be wary and remind your family (especially teenage drivers) to be extra careful as well. Check out the media’s coverage of Eureka, IL efforts to educate their teenage drivers about the necessity of using extra caution this time of year. MR. PRESIDENT, WHERE ARE THE LOCKS AND DAMS? Labor Day, the day we American’s celebrate our nation’s workforce, is a great day to announce plans for more jobs. I definitely understand what President Obama was thinking when he stood in Milwaukee, WI and announced plans for massive infrastructure investment, which will not only modernize American roads, rails, and runways, but will also create millions of jobs. What I don’t understand is the conspicuous absence of funding for upgraded locks and dams. Will investment in waterway transportation create jobs? Yes. Updating our waterway infrastructure will create 48 million hours of labor for skilled trade workers throughout the Midwest. Does investment in waterway transportation offer a return on investment? Definitely. America’s inland waterway navigation system moves more than a billion tons of domestic commerce valued at more than $300 billion per year. Agricultural products are a significant portion of that commerce and agriculture is one industry with potential to pull our economy out of the black hole it’s in. Does investment in waterway transportation garner industry support? Undoubtedly. The shipping industry is the only industry stepping forward to provide additional funding streams for upgrades to their system that will match federal dollars. In other words, upgrading locks and dams provides jobs and return on investment in a much bigger dose than other projects because the industry is financing a portion of the project. So what’s the problem? I’m not sure. President Obama used to support lock and dam upgrades. As a US Senator he was an advocate for upgraded locks and dams and even played a key role in the passage of the Water Resources Development Act of 2007 that now simply sits for lack of funding. He used to be in favor of allowing the US to be competitive in a global market. He used to understand that Midwestern agriculture, the powerhouse of the American economy, relied on efficient infrastructure to get goods to markets all across the globe. What’s changed? Again, I’m not sure. What I do know is that investment in waterway transportation offers a greener option for transporting goods, a bundle of great jobs for Midwestern workers, and a means to allow agriculture to further drive our country out of an economic mess. I’ve spent 21 years in Illinois. I’ve never left for more than two weeks at a time, and let’s be honest, that Chicagoan dialect that spews out of my mouth doesn’t exactly allow me to assimilate into just any geographic region. Illinois is my home. Specifically, I was raised in Itasca, which is about a 40 minute train ride from Chicago. Being a Chicagoan (or even a suburbanite) is a lifestyle. The pace at which I walk to work is probably better described as “jogging.” I know what a REAL hot dog looks like, I can direct you to the city’s best Italian beef and don’t even get me started on thin crust pizza. When my boss told me that we were going to volunteer our time to corn picking in Manhattan, I thought he was joking. The thought of Nicky Hunter picking corn is akin to the thought of a cat swimming laps in a pool. Outrageous. I love sports but hate playing them because I hate to sweat. I’ve never tended to a garden because I don’t like dirt, and I don’t even know what I would do if I found a worm. I’d probably scream and jump up and down, hands waving in acute panic. The great outdoors and I never really got along. “Sure, I’ll do it,” I replied because I talk a big game. I knew it was for the City Produce Project, which was a good cause. Monsanto, which is a huge company, got behind the project and Illinois Corn Marketing Board also participated in the program, so if such big forces can help out, what was stopping me? Some dirt and sweat? Pathetic, city girl, pathetic. It would be easy, I thought, because it’s a farm. I thought I knew farms. After all, I’d seen one obnoxious farm comedy after another, I knew the routine. You get up early when the rooster crows and then you do various farm duties until someone rings that little triangle to announce that a large, bountiful dinner was ready. That dinner, of course, was provided by the farmer’s hard work and that was how they survived. That’s all I was exposed to. What never really occurred to me was that the work that gets done on a farm is a business. The crops that grow on a family’s farm aren’t just exclusively for family meals that would make a Norman Rockwell painting look like child’s play. Once I arrived on the farm, I expected to see machinery going to town on those crops, with volunteers just packing away the corn that the machines left behind. After all, farms are so expansive, there is no way that we would actually be doing the harvesting. There are machines for that…right? Not in this case. It was all hard work and human labor. It finally occurred to me that the vegetables I eat actually originate somewhere. It was humbling to realize that sometimes I’m just too lazy to get in my car and drive three minutes to the supermarket and pick fresh produce, then come home and prepare it. Instead, I shuffle through my kitchen, mumbling “There’s no food in this house” and chomping on a bag of chips and maybe a cookie, if I’m lucky. I realized that farmers have to plant, nurture and send off all their crops in order to get to the supermarket produce section that I rarely visit because I just don’t have “THE WILLPOWER” to eat correctly. Spending a few hours on a farm went beyond just opening my eyes to the process. Being involved with the City Produce Project even at the most minimal level has made me aware of the daily challenges farmers face. If the weather is nice on Sunday, farmers are working. Weekend or not, there’s something to do on the farm. If the weather doesn’t cooperate at the right time; game over. The whole field could be washed out and there could be nothing to show for days or even weeks of work. No produce, no profit. No profit, no nothing. Farming isn’t a joke. I was lucky enough to get to volunteer when the weather, though hot as the Sahara, was relatively good. I was informed that the week beforehand, volunteers trudged through mud in order to get the work done, and not many extra people showed up because they didn’t want to get dirty. The work had to get done, so the farmers spent the entire day in wet mud. They have no choice. That corn had places to be, City Produce Project participants to please, delicious flavors to unleash upon unsuspecting omnivores. As a suburbanite who spends more than 40 hours in metro Chicago per week, I can say with confidence that I was completely unattached to my food. I don’t know where it comes from, I don’t know how it was grown, and I know even less about who is responsible for its production. If it reached my mouth, I was happy. After spending literally no more than two hours on a farm, I can say that now I appreciate fresh vegetables. They take work. I don’t know if larger areas are handled with machinery or not, because I’m only familiar with the sweet corn used in the City Produce Project. But I do know that regardless of machinery’s role, humans operate them. Humans purchase the seed, humans tend to the crops and humans wouldn’t exist without this kind of selfless dedication. I feel less like a Chicagoan/Suburbanite and more of an Illinoisan. I am aware of the goings-on in other parts of this vast state, not just the deep-dish pizza feuds and seemingly endless roadwork of Cook County. There are things beyond my hamburger, beyond my debilitating fear of being touched by an earthworm, and beyond my selfish need for food to just appear. I appreciate corn farmers now, because after two hours I was ready to throw in my sweaty towel and call it a day. That’s not an option for them, and I commend them for dedicating their lives to such an uncontrollable gamble. Without such skilled and charitable farmers, programs like the City Produce Project wouldn’t be possible, and some communities would be left without any resources to combat diabetes because they would have zero access to anything as nutritious as the corn grown in Manhattan. I think every Chicagoan should experience just a few hours on a farm. It does bring perspective and opens up those smog-weary eyes to a different kind of existence that is only a few hours removed from Chicago. And would you believe it, this city chick actually had fun on a farm. I touched some bugs, got sweaty and got a paper-cut on my hand (the horror! ), but at the end of the day, I did something new for a good cause. Labels: General, Who are Illinois Corn Farmers? 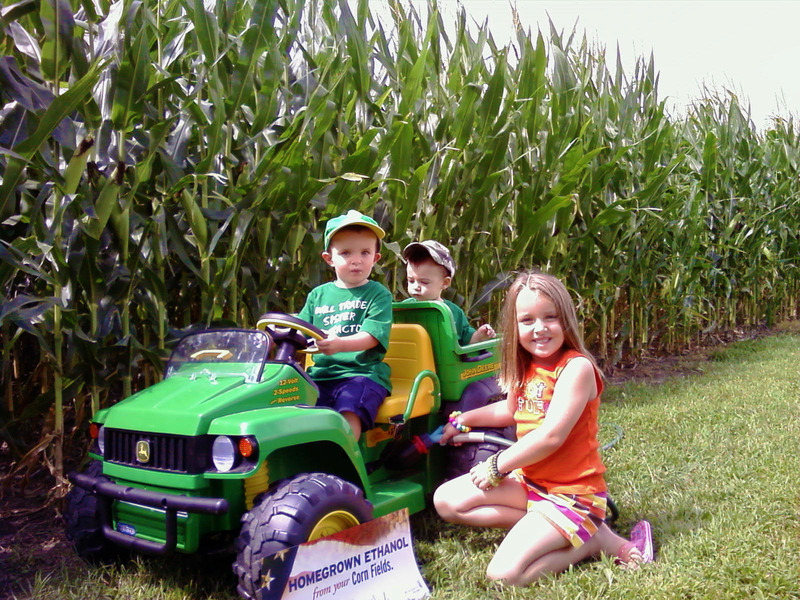 These little tikes were brought up right, fueling their John Deere gator with homegrown ethanol! Thanks Rob Elliott, Cameron for the fabulous photo! If you have a photo you'd like to submit for our Friday Farm Photo, email it to ilcorn@ilcorn.org or upload it to our Facebook page and indicate Friday Farm Photo. 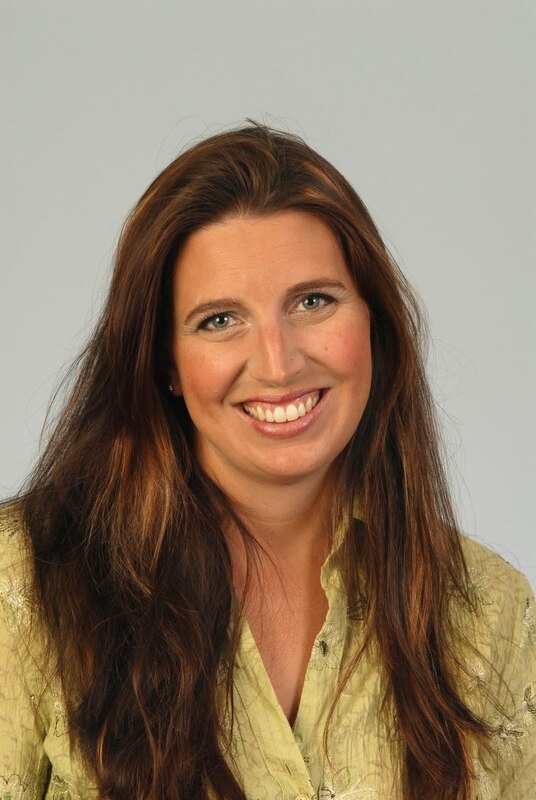 As the Value Enhanced Projects Director for the Illinois Corn Growers Association/Illinois Corn Marketing Board, you might not think that I’ve traveled all over the world and visited with people from nearly every country as they traveled to IL. But I have. And this “exchange program” of visiting with other countries and having other countries visit us is a vital part of our programming to help corn farmers in IL. Illinois is a massive exporter of corn. In fact, reports yesterday from the US Department of Agriculture (USDA) indicate that agriculture as a whole is in our second highest year on record for agricultural exports. Agriculture is one of the only major sectors of the American economy with a trade surplus, which is expected to be $30.5 billion this year. One of the ways that we keep that export market vibrant and growing is to meet with buyers in other markets to tell them about our products. In much the same way that a printing company sales rep might knock on your door to market their printing services or the Schauwn man stops by every week, we simply make appointments to meet with buyers at their homes and businesses, even if those businesses are an ocean away. This is really the only way to truly understand what a buyer needs, the quality they are looking for, the price they expect, and how we can work together to deliver on that demand. Buyers also want to come to Illinois to see how the products are grown or created. Company reps from China looking to buy dried distillers grains (DDGS) from our Illinois ethanol plants might schedule a trip to our state and I will set up visits to ethanol plants for them, both educating them about the industry and connecting them with potential Illinois suppliers. This is an important way that we can add value to Illinois corn – by creating new markets for Illinois corn by-products. Representatives from other countries come to Illinois for other reasons too. Sometimes they simply want to learn about US agriculture and experience planting or harvest. Sometimes they want to discover our methods of livestock production and how corn and DDGS fit into our feed rations. They may want to see how Illinois farmers live. But even these discovery missions make important connections between Illinois farmers and overseas buyers that we simply can’t ignore. In the past year, I have worked with potential buyers from Mexico, Vietnam, Korea, China, Japan, Panama, Brazil, Central America, Algeria, Libya, Egypt, and more. 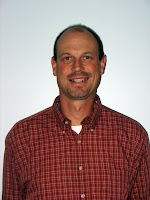 Conversely, Illinois farmers need a knowledge of overseas markets to try to find ways to fulfill those market’s needs. Sometimes, experiencing a culture first hand helps Illinois farmers see markets that have never before existed. One good example is “chicken paws” that are coveted in the Chinese market. These delicacies are simply the feet of the chicken that US meat processors used to just throw away. Visiting and making connections with Chinese buyers helped us understand that there is a market for those extra parts of the chicken and now our US chickens have more value. And, of course, Illinois corn feeds those chickens so value in the poultry market is a good thing for both of us. 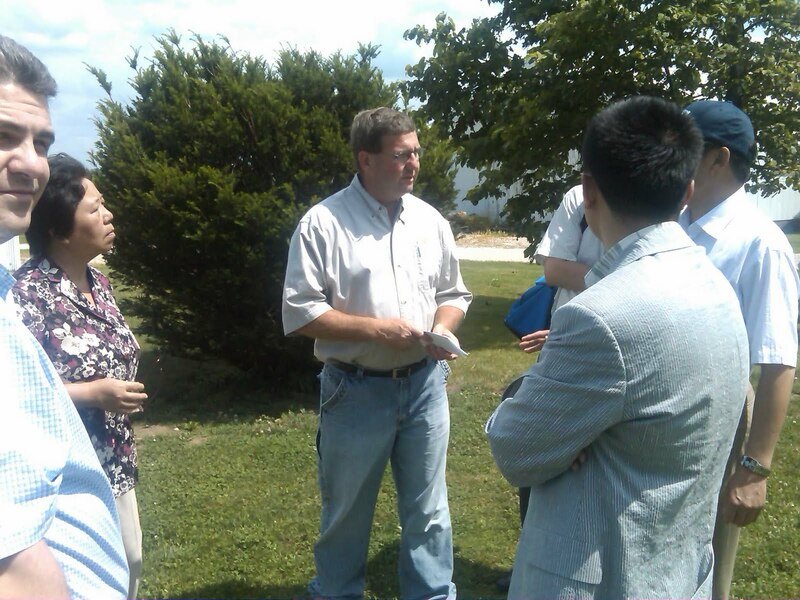 Illinois farmers have recently been to missions in Brazil, Mexico, Panama, and China just to name a few. In Panama, IL Corn leadership met with the Panama Poultry Buyers Association who was considering switching their corn purchase from US Corn to Argentine Corn. After visiting with them twice in Panama City and once in Illinois, we have been able to maintain that market and address their concerns. They are still buying 95% of their corn from the US. Also in Panama, we visited the Panama Canal. Current upgrades to the Panama Canal will double their capacity to ship grain, but the America’s failing infrastructure including our 80 year old locks and dams, leave us lagging behind in the global transportation system. It is very important for our Illinois corn farmers to understand Illinois’ precarious position in global infrastructure so that they can lobby their elected officials appropriately and hopefully resolve this issue. Regarding upcoming trade missions, at the end of September, I will spend the week with a company from the Dominican Republic. 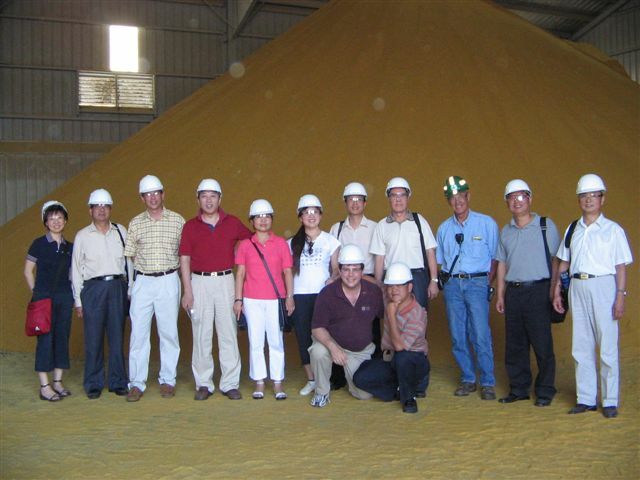 Two years ago, SID Grupo was buying 100% hard endosperm corn from the US. Likely, because of our position on the Mississippi, Illinois, and Ohio Rivers, much of that purchase was Illinois corn, to the tune of about 3.2 million bushels per year. Last year, our hard endosperm corn quality was poor so they switched their purchases to Argentine corn. In September, I will hopefully help them re-establish relationships with sellers of hard endosperm corn here in Illinois and we have several meetings set up with specialty grains shippers to regain that market and renew those relationships. $13 million dollars in grain sales is at stake, but the economics becomes much larger when you consider the entire production chain. Traveling may seem glamorous, but in the end, Illinois Corn’s trade missions are about education and markets. After all, the near record exports we’re experiencing this year are the economic engine helping to pull America out of the recession. Our “exchanges” are simply programs that are too important to ignore. 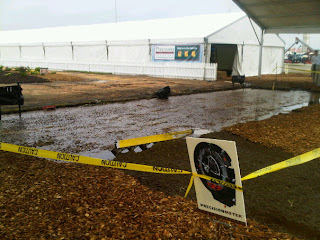 We're right in the middle of Farm Progress Show in Iowa where heavy rains are definitely making things a little ... damp. 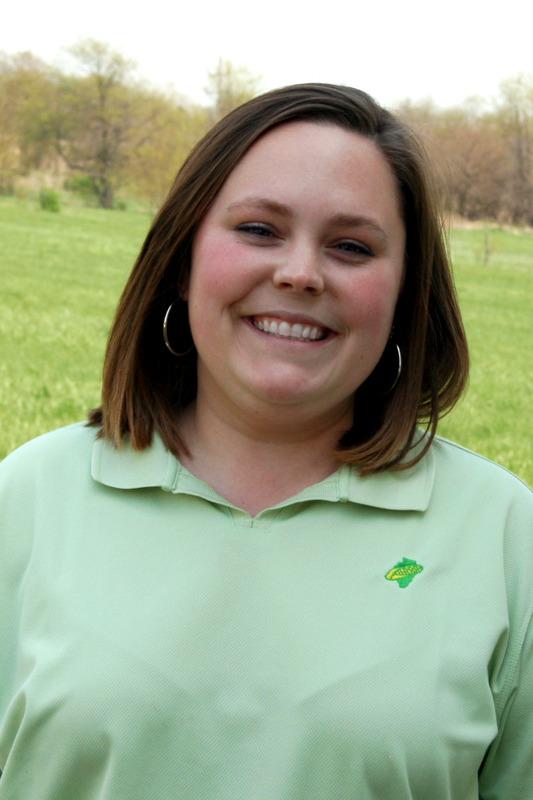 Check out this link from WIRL's Meghan Grebner showing Precision Planting's precision pit that is supposed to be 6' deep. Yikes. Farm Progress Show said that their only goal was trying to drain the water and keep people moving safely into the tent city. They delayed the opening of the show today by two hours to prepare. You can check out their press release here. More importantly though, what does all that rain mean for the corn farmers in Iowa who are probably contemplating harvest? Harvest is just beginning in IL and I know we all feel for those Iowan's after being rained out of our own harvest last year. Whoever said too much of a good thing is a better thing?